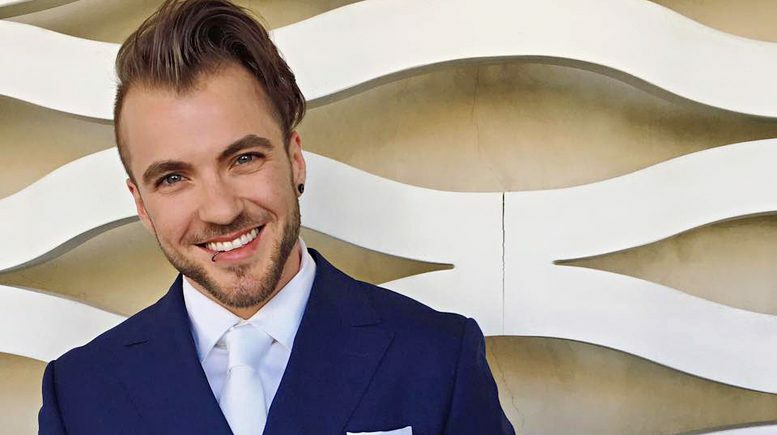 Aydian Dowling leaped to stardom in 2015, after FTM Magazine recreated Maroon 5’s legendary and iconic racy photo of the band’s front man Adam Levine for Cosmopolitan’s UK magazine in 2012. FTM’s publisher, Jason Robert Ballard, saw a similarity in Levine and Dowling’s physiques, which gave him the concept that would then feature Dowling in FTM. Media frenzy ensued and Dowling’s photo and name went viral on mainstream media in the U.S. and abroad, an instant stardom for the 27-year-old proud trans bodybuilder. The hype challenged Dowling, who decided to go for the unthinkable at the time. He entered the Men’s Health Ultimate Guy Contest with the hopes of becoming the first trans man featured in a mainstream national magazine. This brought more attention to Dowling who, because of it, was afterwards interviewed by Ellen DeGeneres about the contest. Thousands voted for Dowling in 2015 and although he didn’t win, he did win. He won the Reader’s Choice Pick, he was one of the top 5 semifinalists, and was ultimately featured on the cover of Men’s Health with all of the other finalists. Even People Magazine reported on Dowling’s accomplishment. The GT cover landed him the desired coverage and visibility to increase his social media power and remain a social catalyst to other transgender people online, which seems to have been what Dowling has been after. This success, was not easily attained. It started years ago when the vlogger decided to record his FTM transition journey on YouTube from pre-Testosterone to present, on his channel: ALionsFears. Vlog after vlog, he shared with his followers the physical and emotional changes that he experienced while on Testosterone, .5cc’s of it. His bodybuilding hobby and his body muscle mass win gained the attention of thousands of followers. His work in front of the camera paid off. His transformation and sharing of it via his vlog went viral. Dowling’s Instagram account has almost 110K followers and his FB fan page has approximately 54K fans. That is not the end of it. His brand keeps growing. “This was my main support,” Long Islander Dowling said in his “Pre T to 4 Years on T” vlog, referring to his 34K+ online YouTube fans with well over 1 million views at the moment. Not long after that, in 2011, Dowling was chosen as one of three LGBT persons to have their stories showcased on the Emmy Nominated It Gets Better Project on MTV. His latest and biggest gig in New England is as Boston Pride’s Festival Emcee on June 11. But, that’s not everything that this trans man is doing to keep himself busy. Currently, Dowling is the company’s founder and president. With him at the helm, the company has evolved to a trans style clothing company whose partial sale proceeds go to Point of Pride, their “non-profit arm that provides their ‘Annual Transgender Surgery Fund,’ and their chest binder and breast form donation programs,” reads its website. The “pioneer,” term that Men’s Health assigned to Dowling to refer to him on their cover, with the other finalists, is what the muscly entrepreneur is working on being for the transgender community. “I’ve been putting effort into giving visibility and supporting the transgender community for the last five to six years, so I’m so privileged to have that honor …” said the activist in his second TV interview on the DeGeneres show. In an interview with MetroWeekly this year, Dowling explained the moment he realized he was no longer a lesbian, but rather a transgender man. And fairytales—as dream too—do come true. They did for Dowling. To check out Boston Pride Festival’s concert performers on June 11, visit http://goo.gl/lFHdmK. For a list of its 10-day event calendar, go to http://goo.gl/VmQfF2.